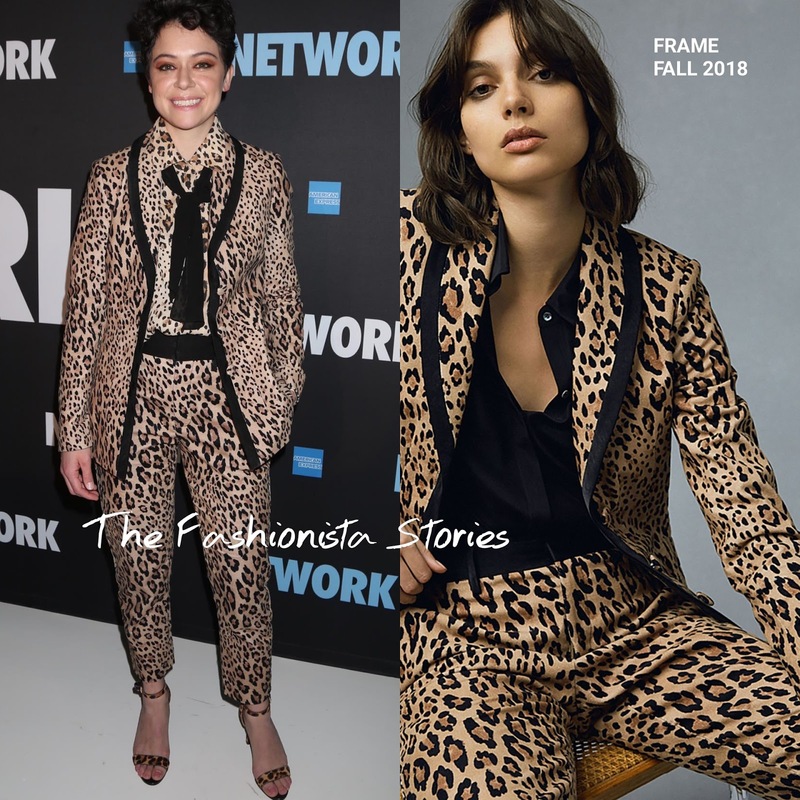 For the occasion, she turned to FRAME, wearing their FALL 2018 cheetah, shawl collar jacket with the matching shirt underneath and the matching slightly cropped tuxedo pants with side pockets which she utilized. Playing off of the cheetah print, she styled her suit with similar leopard sandals by NINE WEST. I like the mash of prints because the black trimming & tie subtly balances it out. However I am not on board with the eye makeup. LAURA CANTU, MELINDA MARIA & GRAZIELA GEMS jewelry finished up her look. Are you feeling Tatian's cheetah look?